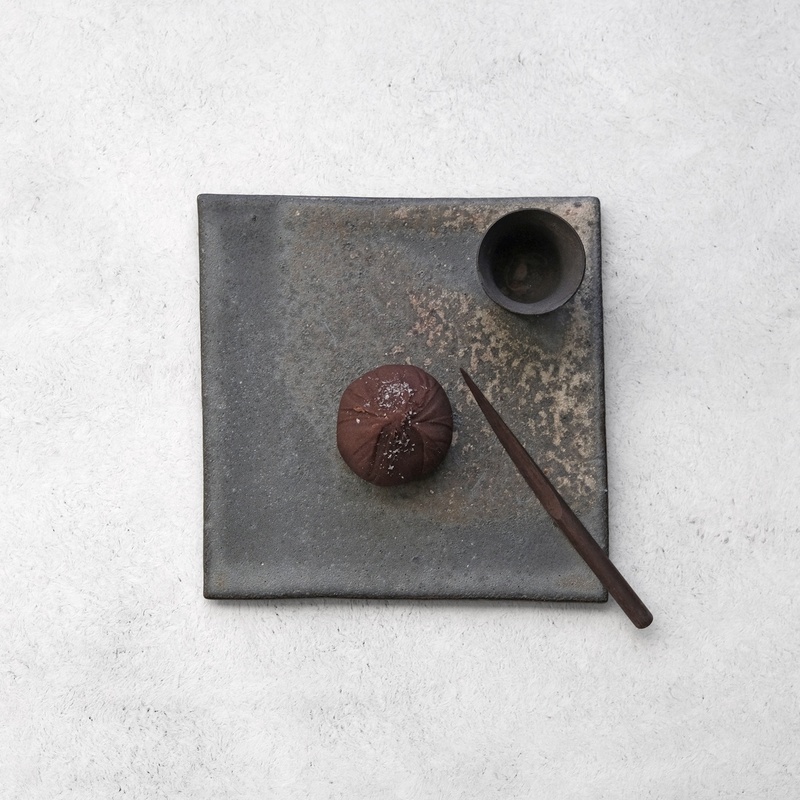 The forms and surface textures of Kan Ito’s ceramic vessels reflect his fascination with objects from the past as well as tools, utensils and other artifacts that have weathered, rusted, or otherwise fallen into decay. 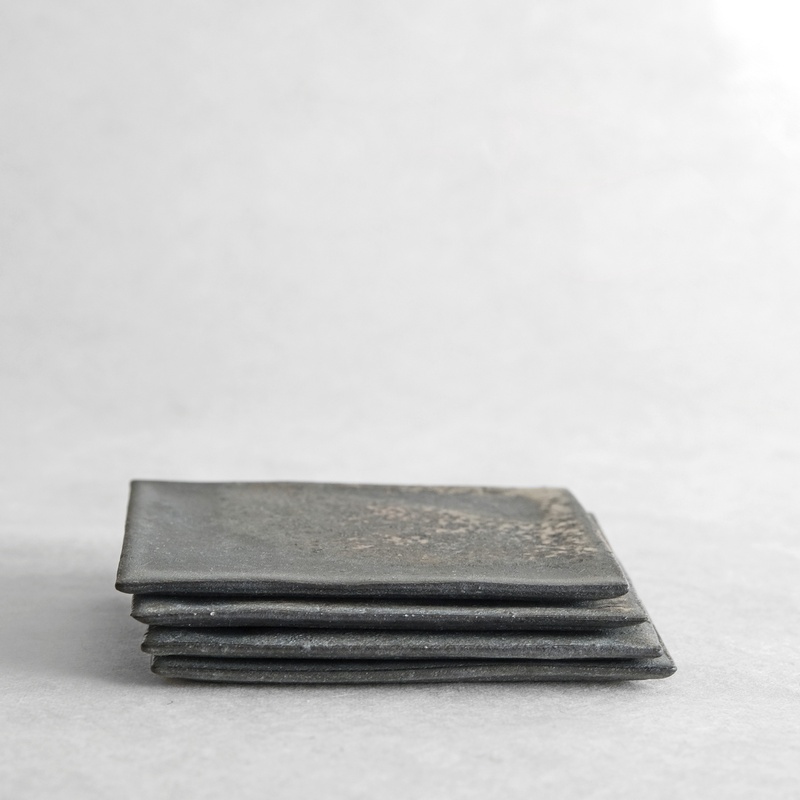 This series of square plates vary slightly in form, surface texture and tone. Each plate is shown individually so you can select the surface you prefer. 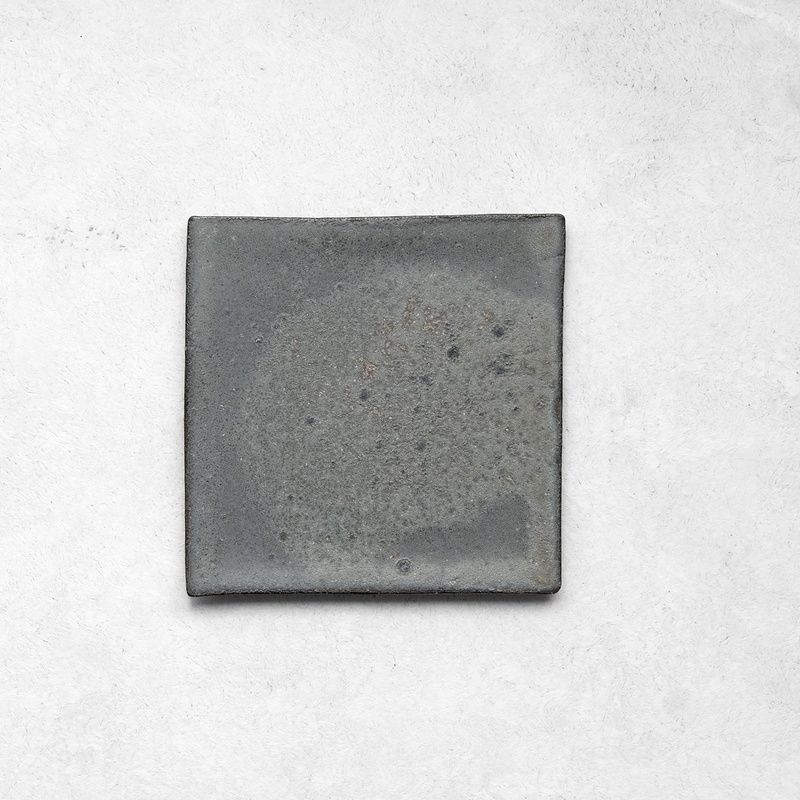 Kan Ito was born in Fukuoka in 1971 into a family in the pottery making business. After completing a program at the Osaka University of Art, he apprenticed with the renowned potter Yamada Hikaru in Kyoto. He later returned to the family business in Fukuoka where he worked until establishing his own kiln in Kanagawa in 2006.